Workhorse. 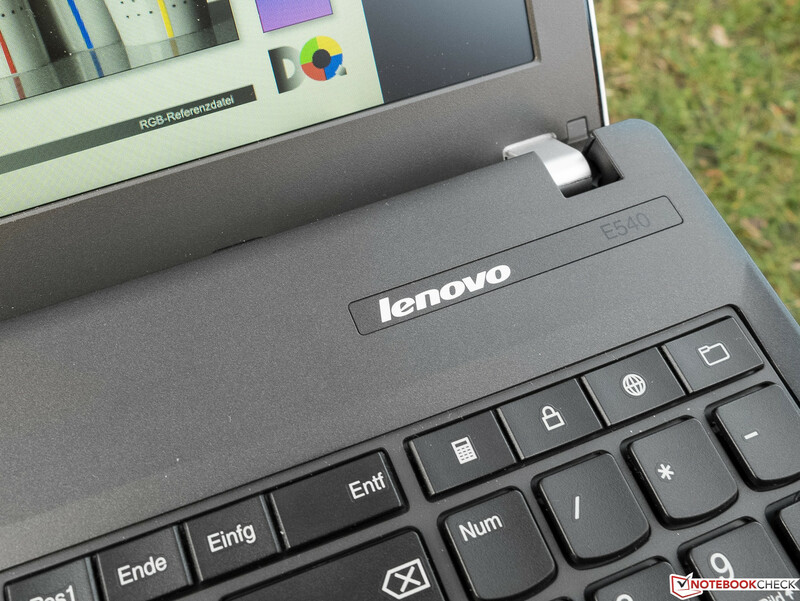 Lenovo updated its devices with the latest hardware but did not change the concept of the cheap Edge series. The company offers many different models and our review will reveal whether the surcharge for the top model is justified. 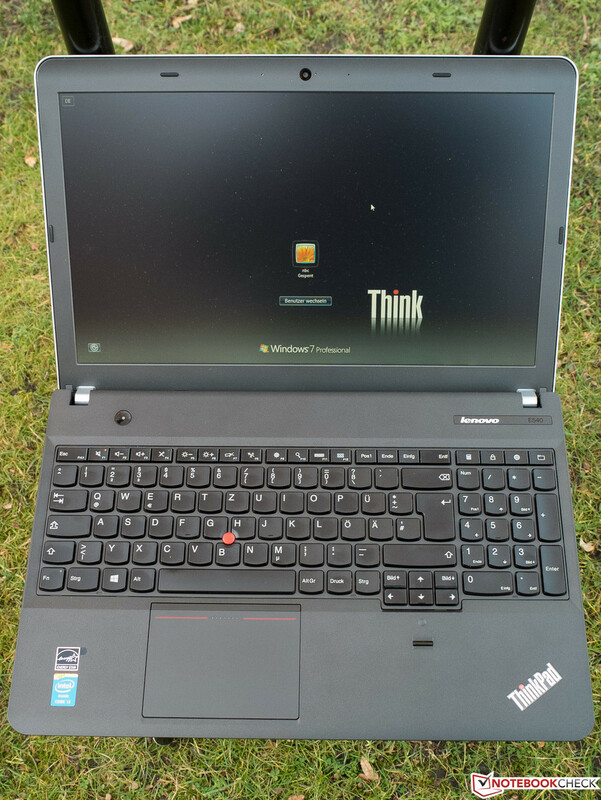 With its ThinkPad Edge series, Lenovo offers many laptops based on Intel or AMD especially for small companies, students, and private customers, for whom the ThinkPad T series is too expensive. 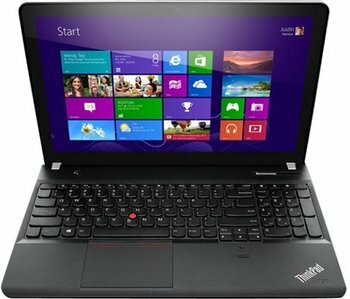 The manufacturer intends to offer the good build quality we are used to from ThinkPads and a good price-performance ratio. 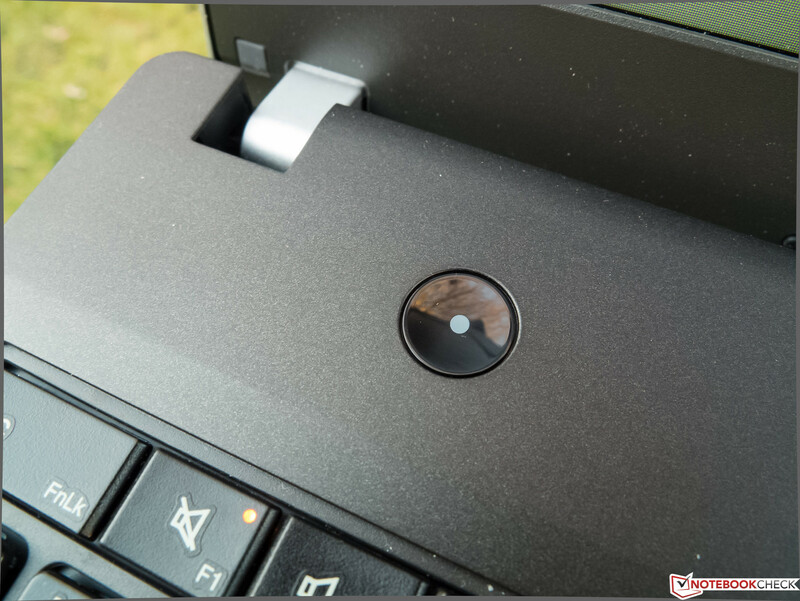 We will see in detail below, how well Lenovo achieved this goal. 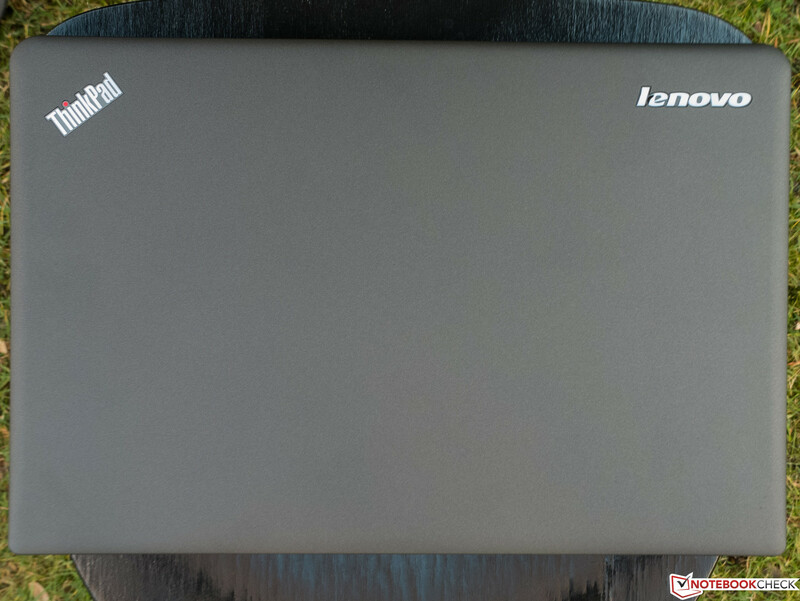 In order to gain a better overview of the advantages and disadvantages of the various models of the Lenovo ThinkPad Edge family, we reviewed a lavishly equipped ThinkPad Edge E540 with Intel i7-4702MQ processor and dedicated Nvidia GT 740M graphics solution. We already reviewed the E540 with a weaker Intel i3-4000M processor and the E545 with AMD components (A10 5750M, Radeon HD 8570M Dual Graphics) before. 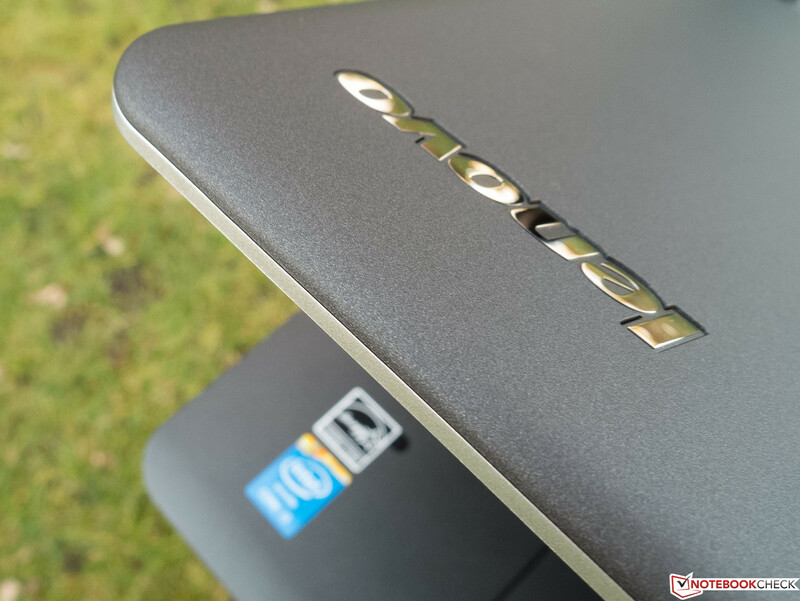 In addition, we also compare it to the HP ProBook 450 and the Dell Latitude 3540. 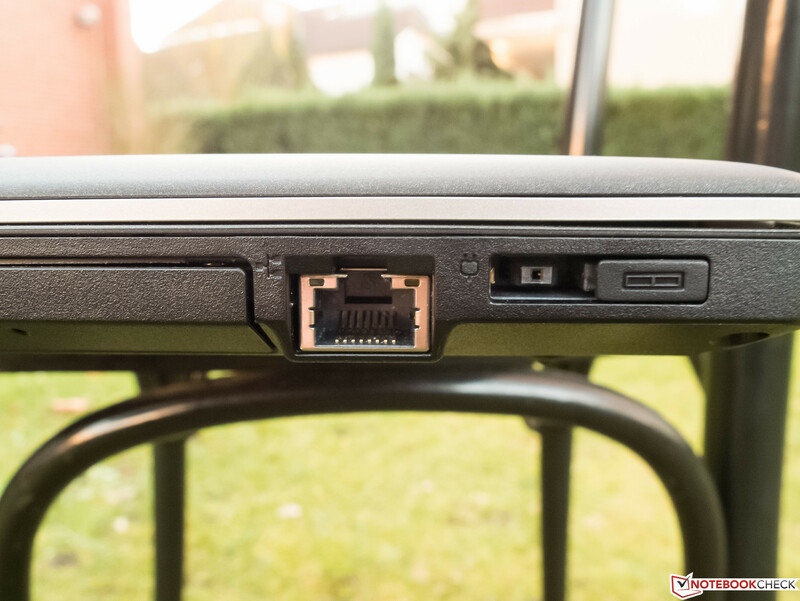 Since our test model's case, connectivity, input devices and speakers are equivalent to the already reviewed E540, we will not cover these here. Information about these is available in the already existing article. 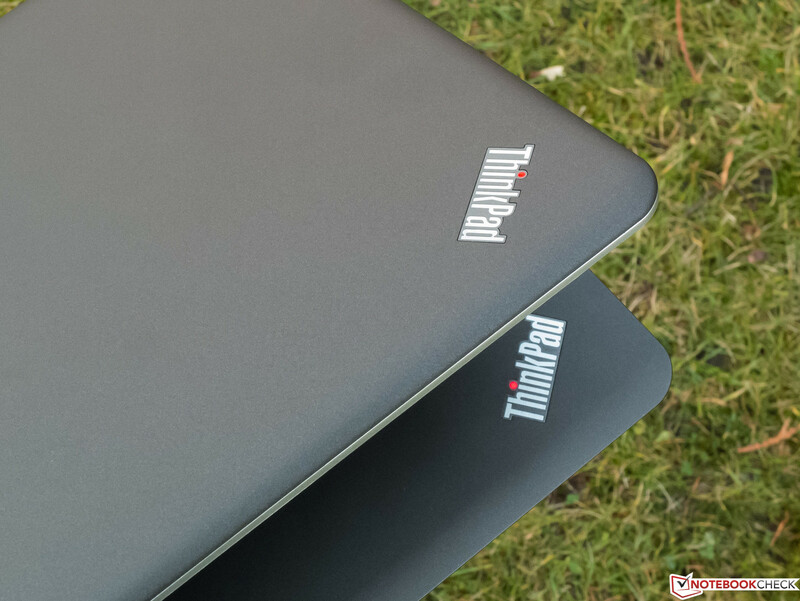 Just like the E545 sister model and the already reviewed cheaper E540, our test model features a matte 15.6-inch TN display (aspect ratio of 16:9). However, the top model's Full HD resolution (1920x1080 pixels) is finer than the other models' 1366x768 pixel resolution. So, it is comparable to the Dell Latitude 3540 in the same price range, which also features a matte Full HD display. With an above average brightness of 337 cd/m², the test model performs way better than the E545 and the Latitude 3540. The average brightness of about 320 cd/m² is also high. The E540's brightness distribution is standard. With 83%, it only slightly differs from the E545's (81%) and the Latitude 3540's (80%). The contrast of 373:1 is not a strength of the test model, but it is significantly better than the E545 sister model's. 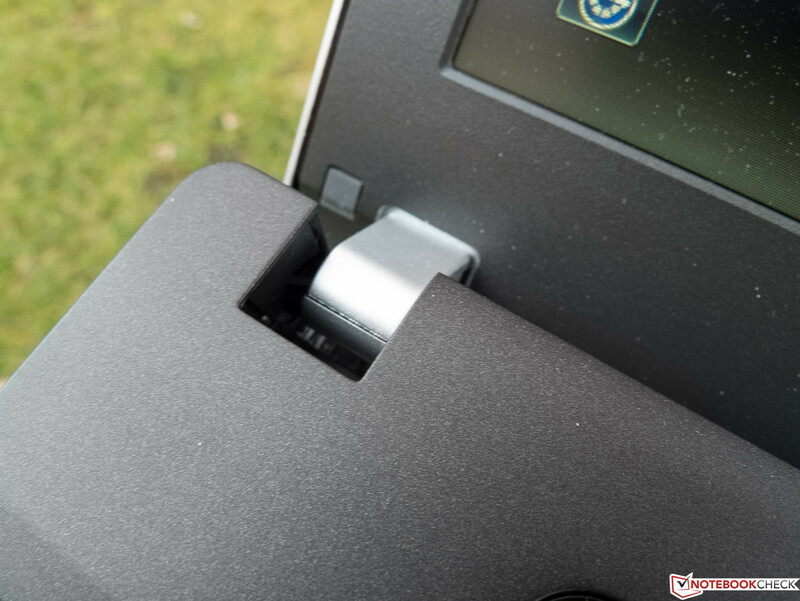 However, Dell did better with the Latitude 3540, which reached double the value. Nevertheless, the contrast is sufficient for everyday office use. Ex-factory, the display is significantly bluish, which can be improved through calibration (see figures). This is why the DeltaE 2000 deviation is high ex-factory with 10.95 according to CalMAN ColorChecker. The gray levels are even worse with 12.71. The competitors perform better here. The color coverage is only 50% (AdobeRGB). So, the display is suitable for office work, but you'd better consider alternatives for image editing. Thanks to the matte and bright display, the outdoor capabilities are good, too. 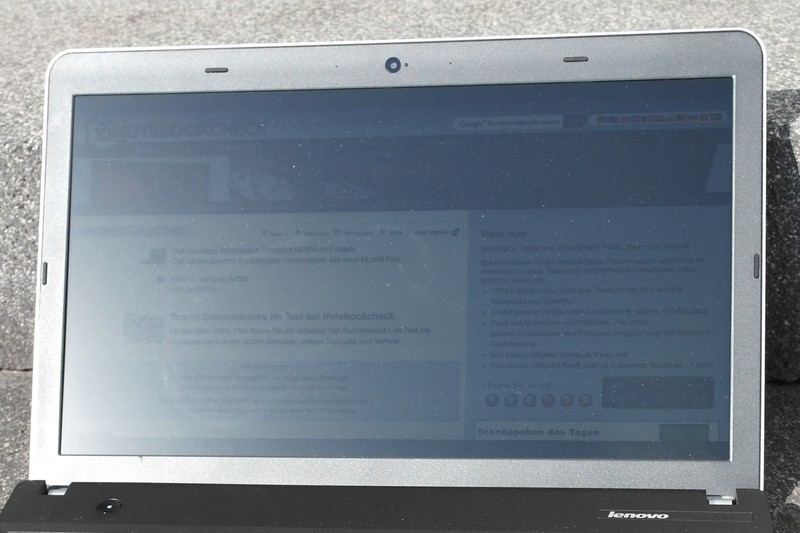 The display even remains legible to some extent under direct sunlight. It is inherent to TN panels that the viewing angle stability is not good. 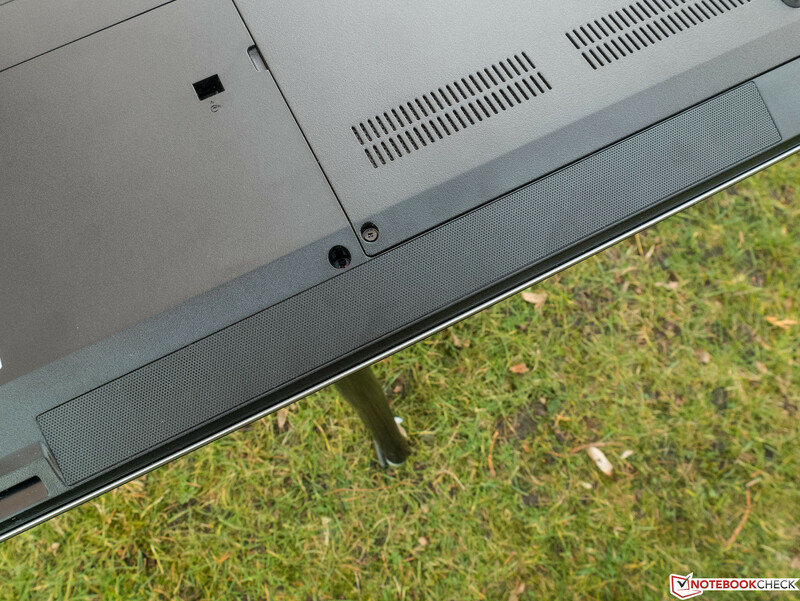 As long as the vertical viewing angle is quite perpendicular, it is not disruptive during everyday use, since the vertical viewing angles are wide enough for several people working with this display. 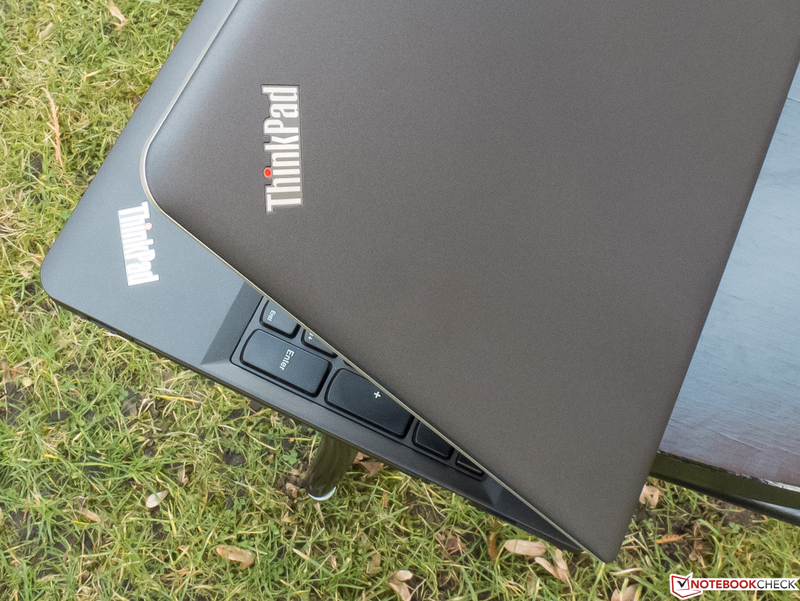 The ThinkPad Edge family has a broad scope. It is intended as compromise between the usual good quality and cheap price for small companies and students. 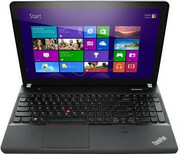 Current models are called E540 and come with Intel i3, i5 and i7 CPUs and integrated or dedicated graphics solution. So, the performance can be scaled to user requirements, as long as they concern everyday tasks. In addition, Lenovo offers various AMD models with the same case. 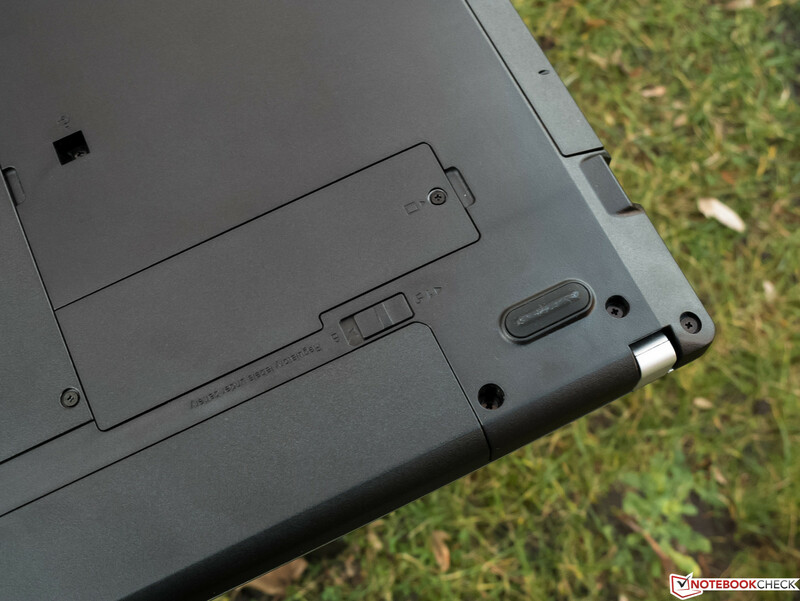 We already reviewed the ThinkPad Edge E540 with Intel i3-4000m and Intel HD Graphics 4600 and the ThinkPad Edge E545 with AMD A10-5750 and Radeon HD 8570 Dual Graphics. The CPU is an Intel i7-4702 MQ, which is based on the current Haswell architecture and belongs to the fastest mobile CPUs. Thanks to Hyper-Threading, the 4 cores can simultaneously handle up to 8 threads. The base clock is a moderate 2.2 GHz. According to Intel the clock can be increased to 3.2 GHz with Turbo Boost. In our practical tests with Cinebench 11.5, the CPU could not quite reach this number. The clock rates were only 2.895 MHz with all cores in the multi CPU test and a single core reached 3 GHz during the single CPU benchmark. According to Intel the TDP is 37 Watt. 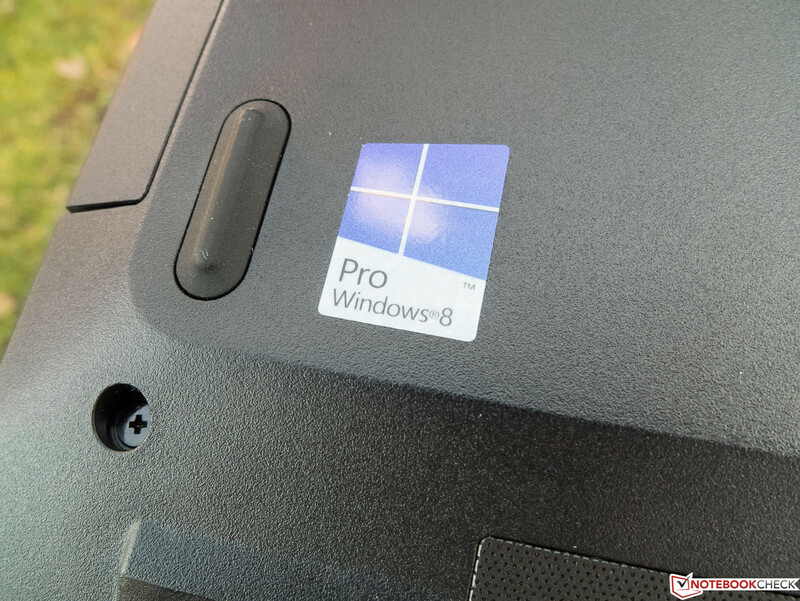 Although the processor is slightly slower than the ProBook 450 with the same CPU, it is significantly faster than the weaker ThinkPad Edge models and the Latitude 3540. The system performance evaluated with PCMark 7 is upper mid-range in our database and so way better than our comparison devices. 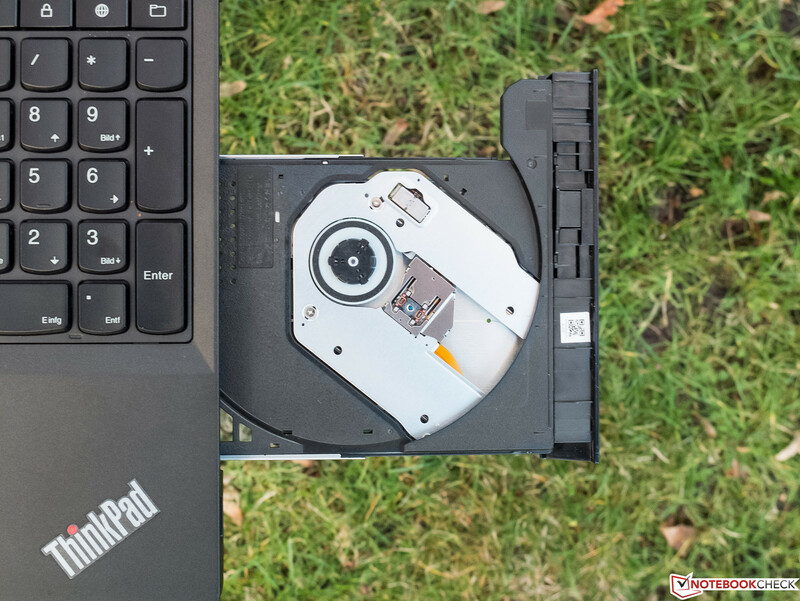 The reason is that the E540 features an Intel i7 quad-core processor, a dedicated graphics card (GeForce GT 740M) and a hard drive with SSD cache. In everyday life, the performance of the components is noticeable since the system works fast and is responsive. Alike the E545's, the hard drive stems from Western Digital. Apart from the fact that the capacity is slightly different, the E540's HDD has an additional SSD cache of 16 GB. In the first run, average transfer rate, access time and burst rate are nearly identical to conventional hard drives'. However, if the test is repeated immediately, the read rates improve significantly and are more than doubled due to the SSD cache. During everyday use, this has a positive impact when launching regularly used applications. As already mentioned above, this device features an Nvidia GeForce GT 740M based on the Kepler architecture with 2 GB DDR3 RAM. If the graphics performance is not needed, the Optimus technology switches to the Intel Graphics 4600 on-chip graphics in order to save energy. Switching worked smoothly in our test. Both graphics chips support DirectX 11. The comparison devices rank the same way in the gaming benchmark of Tomb Raider as in the 3DMark 11 benchmark above. 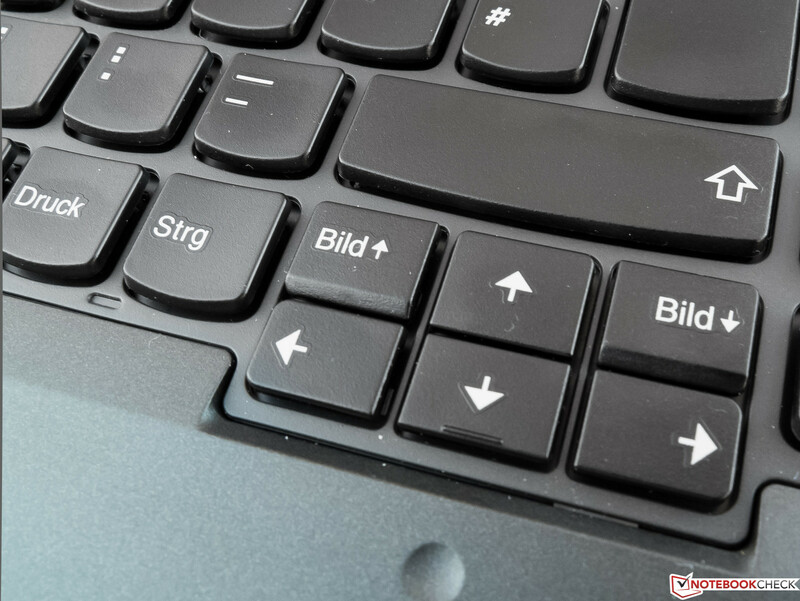 Although Lenovo designed the laptop primarily for office use, the graphics solution is sufficient for current games like Battlefield 4 with low to medium resolution and quality settings. Nevertheless, you should look elsewhere if you want a notebook for gaming, e. g. in our current Top 10 Gaming Notebooks. 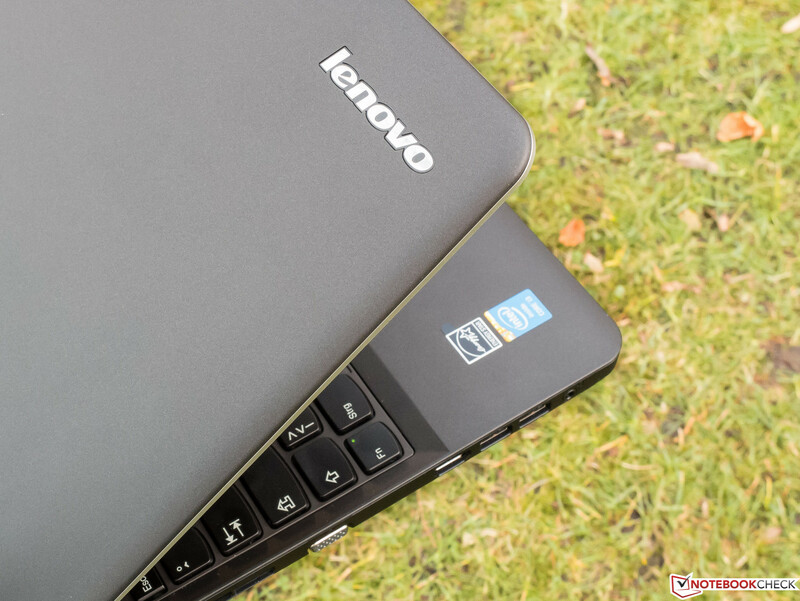 Lenovo produced a comfortably quiet device with the E540. While idle, it is only quietly audible and even under load the fan noise is not too loud. 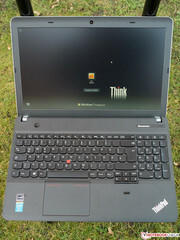 It is very similar to the E545 sister model in this aspect. The E540 during the stress test. During everyday tasks with low performance demands, the surface temperature remains comfortably moderate. This is also proved by the measurement values with a maximum of 32 °C while idle. In our stress test, Prime95 and Furmark run simultaneously for at least an hour and use the CPU and GPU to capacity. All four cores of the CPU (i7-4702MQ) are driven by a clock rate of 2197 MHz. About every 10 seconds it increases to 2897 MHz. Meanwhile, the core temperature is about 91 °C. The graphics processor of the GT 740M clocks constantly at 1032.1 MHz and reaches a maximum temperature of 83 °C. On battery, the GPU's clock rate falls to 875.3 MHz and the CPU's decreases to 1896 MHz during the stress test. Nevertheless, the performance is still sufficient for up to medium performance demands. The performance loss can only be felt during demanding tasks like running PC games. 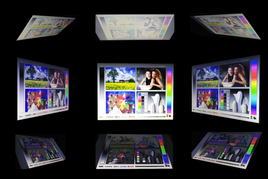 Dedicated graphics solutions are especially noticeable in power consumption. The E540 ranks in between the E545 and the Latitude 3540 with an average of 11.7 Watt while idle and 49.1 Watt under load. 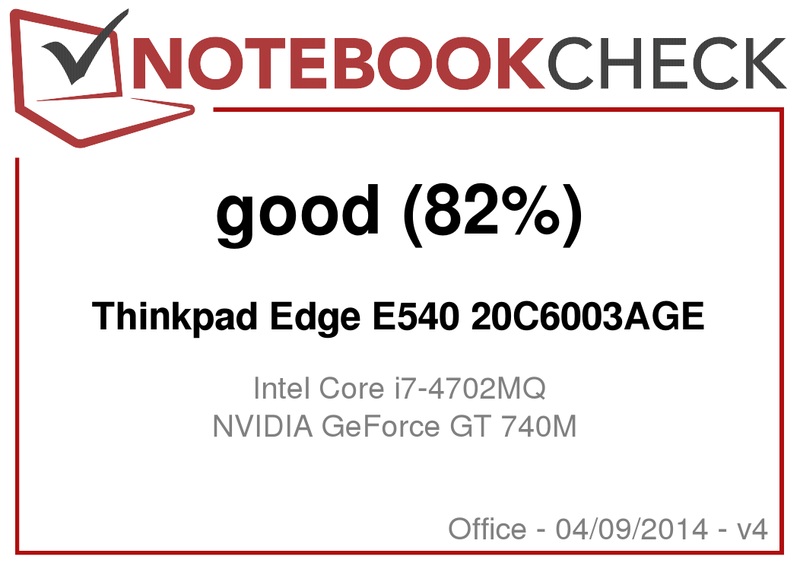 Notebooks with integrated graphics, e. g. the ProBook 450 or the already reviewed E540 can score points with significantly lower power consumption while idle and under load. Compared to the E545 and the E540 with i3 processor, our current E540 has the advantage that a battery with a bigger capacity of 62 Wh is already included, while the cheaper sister models only come with a 48 Wh battery. The HP ProBook 450 only comes with a 47 Wh battery, too. So, the battery life is significantly higher in all scenarios apart from full load. The test model achieves an expected maximum runtime of 8 hours and 20 minutes in Battery Eater Reader's test. Under full load, the possible usage time falls to just above one hour. Reasons are the power-hungry components under full load and the bright display. In our realistic WLAN test an automatic script loads new websites about every minute. It is intended to simulate realistic web surfing. The E540 achieved a very good result of 7 hours and 14 minutes. The battery capacity is sufficient for watching Full HD videos, even long ones. You can watch films for just under 4 hours. 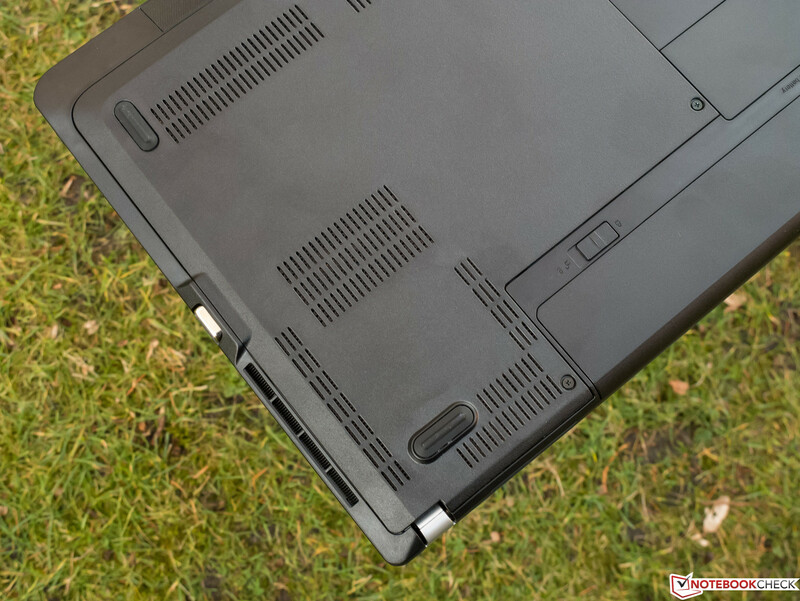 Those demanding a longer battery life and not minding a lower performance, should consider notebooks with a ULV processor, e. g. the Dell Latitude 3540. 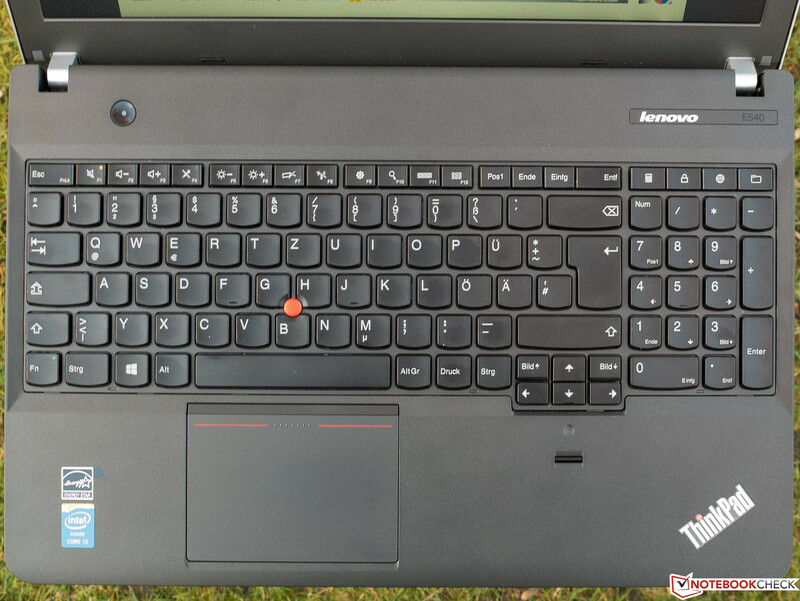 The advantages of the E540 with cheap configuration remained and we also liked the solid build quality, the quiet system noise and the good input devices of the reviewed model. If you are ready to spend more money, you will get a great laptop for work with high performance also allowing occasional gaming. Furthermore, you get a bigger battery, a better display, and a bigger hard drive for a surcharge of about 300 Euros (~$412). This gives a street price of about 900 Euros (~$1238) with Windows 7/8. 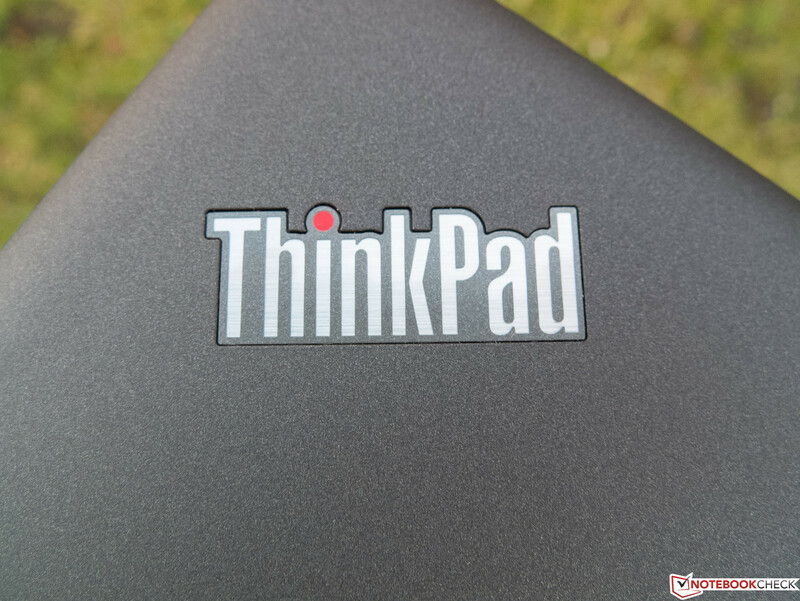 Lenovo equips the top model of its ThinkPad Edge series with Intel processors. As a compromise, there is also a mid-range model with the same features as the entry-level model, but with an Intel i5 CPU and bigger battery. It is up to the user how much performance and features they need. However, even the entry-level model is absolutely sufficient for everyday office tasks. 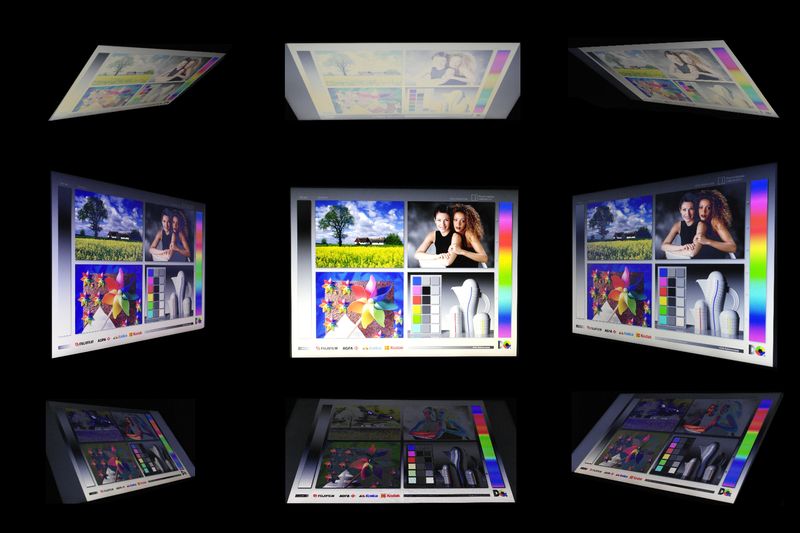 While the Full HD display is better than those of other representatives of the Edge series, its color space is not suitable for professional image editing. The RAM capacity of only 4 GB ex-factory is low for the CPU and can be a bottleneck for memory-hungry applications. But, it can be easily upgraded since only one RAM slot is occupied. 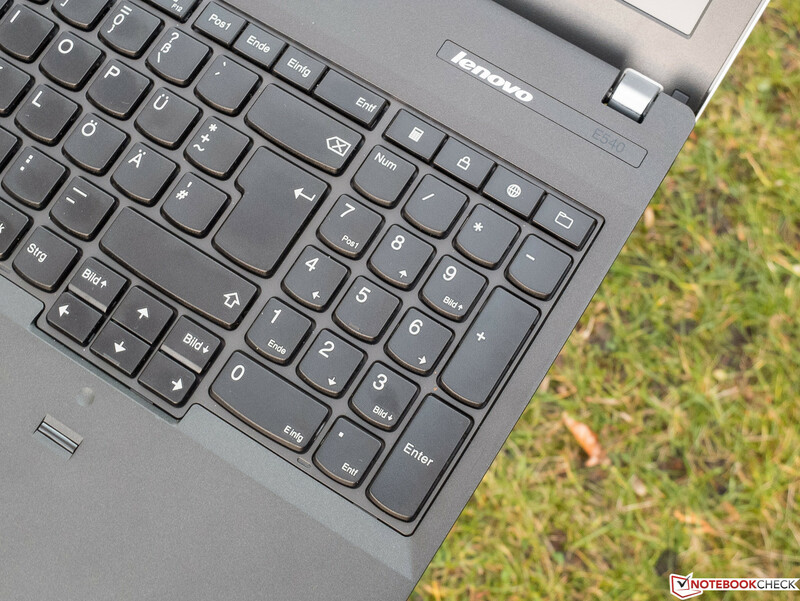 Despite these minor flaws, Lenovo produced a balanced laptop for work, which is recommendable. The lid has a soft-touch finish. A number block is obligatory for business devices. The key travel is quite long. 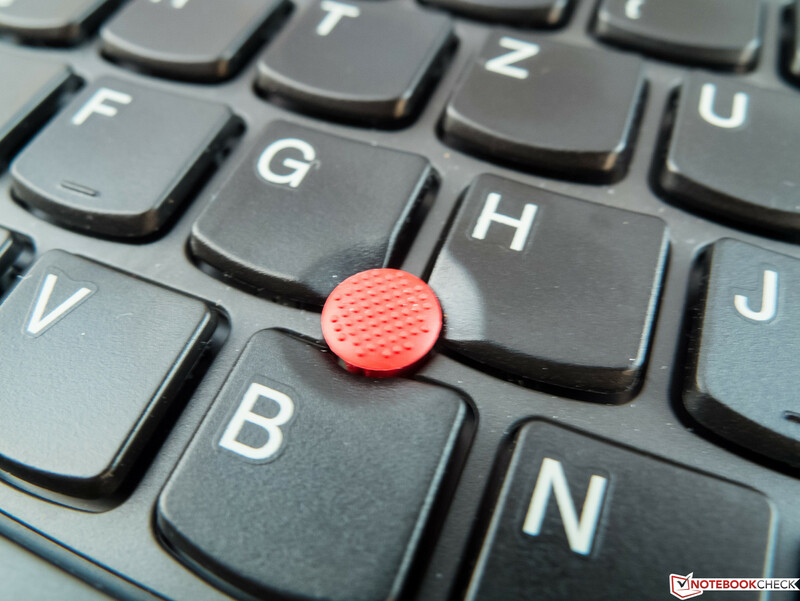 You will appreciate the TrackPoint if you are used to it. The lid appears sturdy and cannot be depressed. ...but allow the lid to teeter a bit. All interfaces are standard size. 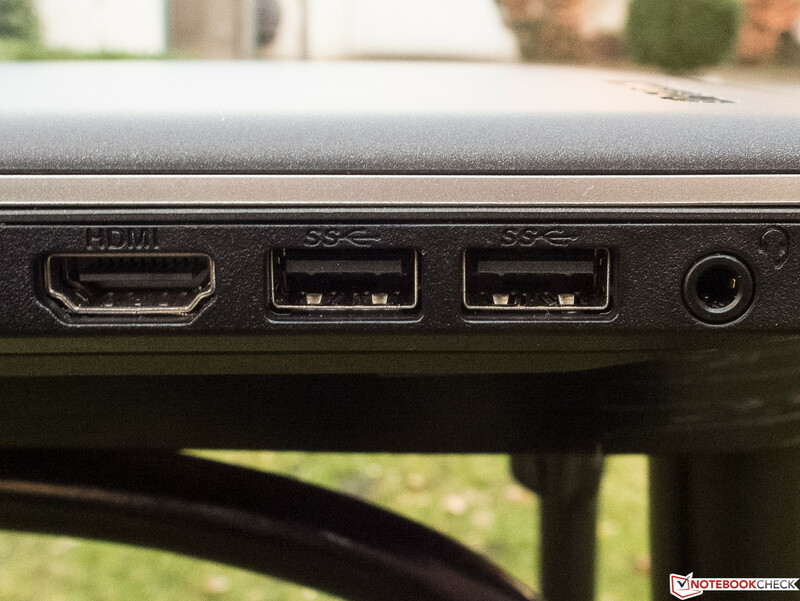 The OneLink Port on the right can also be used as power-in. Big maintenance hatch (HDD, fan, RAM). Small maintenance hatch (WLAN, battery). 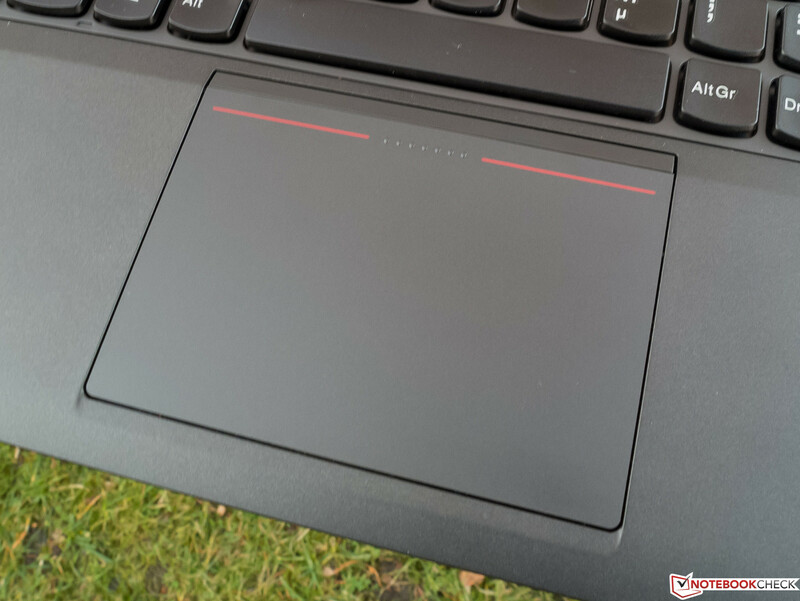 The "ThinkPad feeling" - great work experience due to the red TrackPoint and the high-end keyboard. The top model of a series should possibly feature more RAM and an SSD. A manufacturer said to be very convinced of the quality of its products, should give more than a one-year warranty.